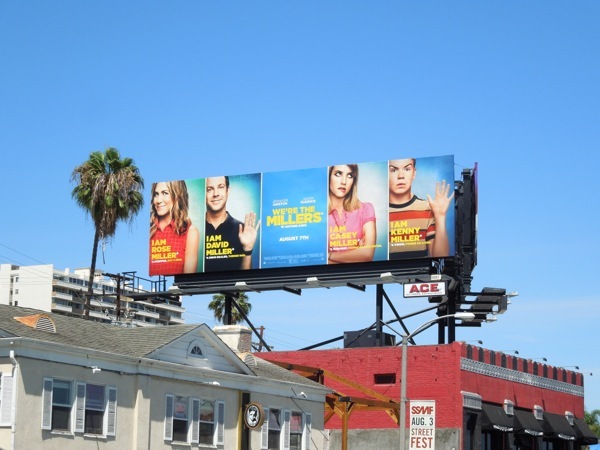 There's nothing like starting another week with a bit of light relief, so enjoy these fun billboards for the new comedy movie starring Jennifer Aniston and Jason Sudeikis, We're The Millers. 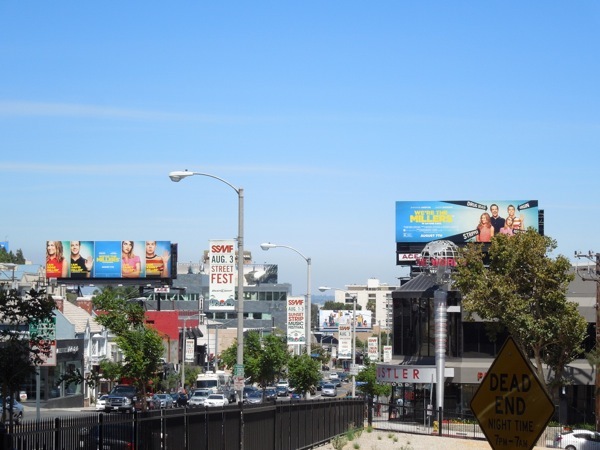 Advertisers seem to be really loving these twin billboard hoardings across the street from each other along Sunset Boulevard, as this new movie follows in the footsteps of FX promoting their new cop thriller The Bridge and JCPenney advertising its interiors offering in the same location recently. In this summer comedy Jason Sudeikis plays a veteran pot dealer who creates a fake family of strippers, runaways and virgins to transport a huge shipment of weed from Mexico into the U.S. (although it would probably be more believable all around if Jennifer Aniston didn't still look like the squeaky clean 'Rachel' from Friends). 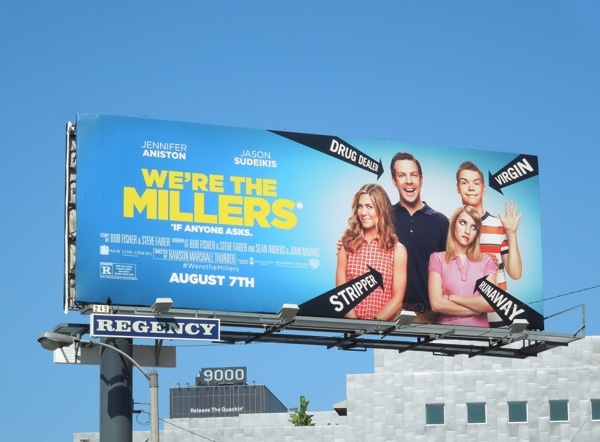 These billboards for We're The Millers* (*If anyone asks) were snapped along Sunset Boulevard on July 16, 2013. 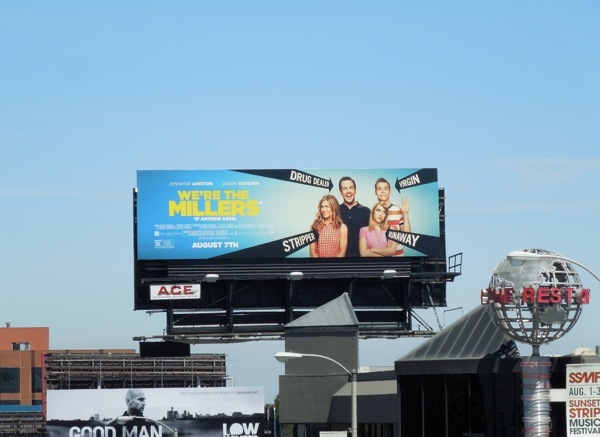 Fortunately this movie comes out a month or so before the new CBS sitcom, The Millers, starring Will Arnett, Beau Bridges and Margo Martindale, otherwise that could be a tad confusing for folks.